Cover any pot or pan to avoid spills and keep your stove clean! Ideal for cooking pasta, rice, potatoes, soups and other starchy liquids that boil over easily. 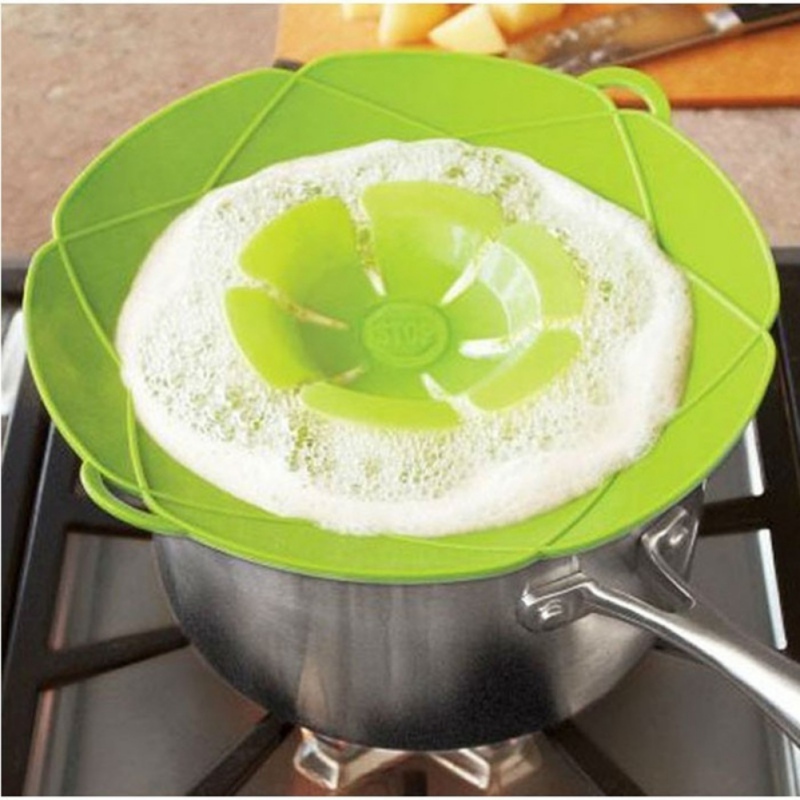 can also be used to quickly steam vegetables on-the-go! The lid cover is made of 100% non-toxic BPA-free silicone, it's a highly durable, Non-Stick material that will withstand hight heat temperatures! 100% reusable, Microwave & dishwasher safe!